With graduation end and summer starting, high school seniors are deciding where they want to go to school and what they want to study. If you're interested in massage therapy but can't quite put your finger on quality schools to attend, this list can greatly help you find a potential school that is the perfect fit for you. 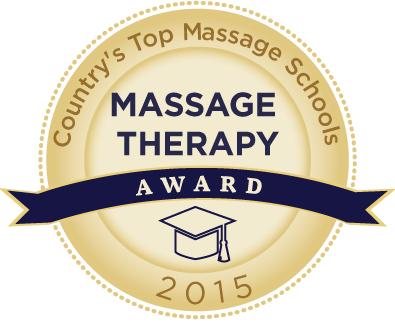 Cortiva Institute of Massage Therapy strives to be a top leader in developing and promoting quality massage therapy education since 1974. Each location around the United States holds the same core values and is dedicated to achieving excellence on every level. The National Holistic Institute located in various locations in California is dedicated to offering and providing the best training for massage therapists. Essentially, they are focused on helping each student set up their career to not only be successful but flexible as well. 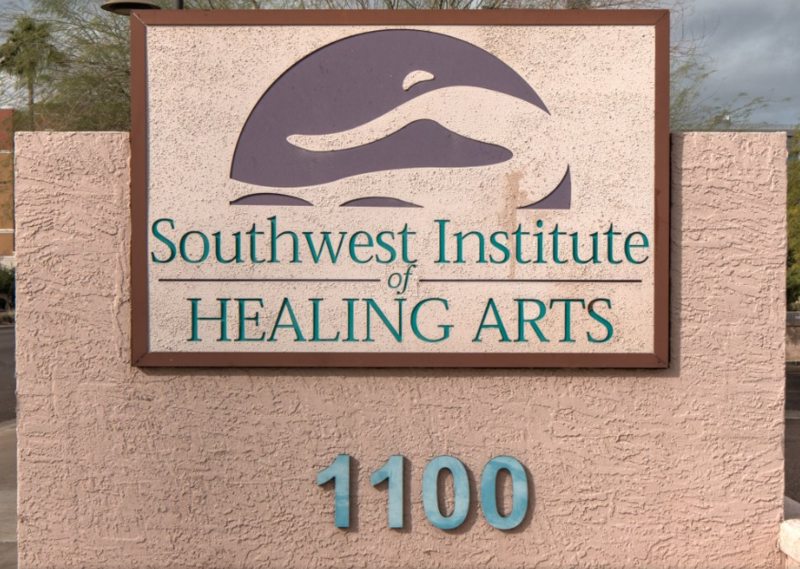 Massage therapy is one of many areas of study that are available at the Southwest Institute of Healing Arts. You can obtain an Associates Degree/Diploma as a Professional Massage Practitioner or a diploma as a Master Massage Practitioner. If you want to find personal success while training in the massage career field, the National Massage Therapy Institute may be just the place for you. Some available post-grad opportunities for you may be working in a chiropractic office, orthopedic office, family practice, spas, salons, cruise ships, gyms, and much more! Challenge and learning growth is what you will get if you decide to pursue a career in Massage Therapy at the National University of Health Sciences. You will receive only the best training and techniques to date and post-grad, you will be prepared and qualified enough to do just about anything you wish. With a degree or certification in Massage Therapy, the career options are endless. 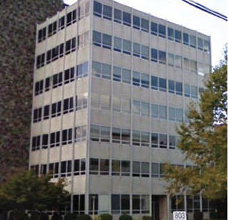 You will greatly benefit from studying at New York College of Health Professions. They are committed to offering quality programs and areas of study as well as encourage and promote excellent education, service to the community, and phenomenal research with outside parties. 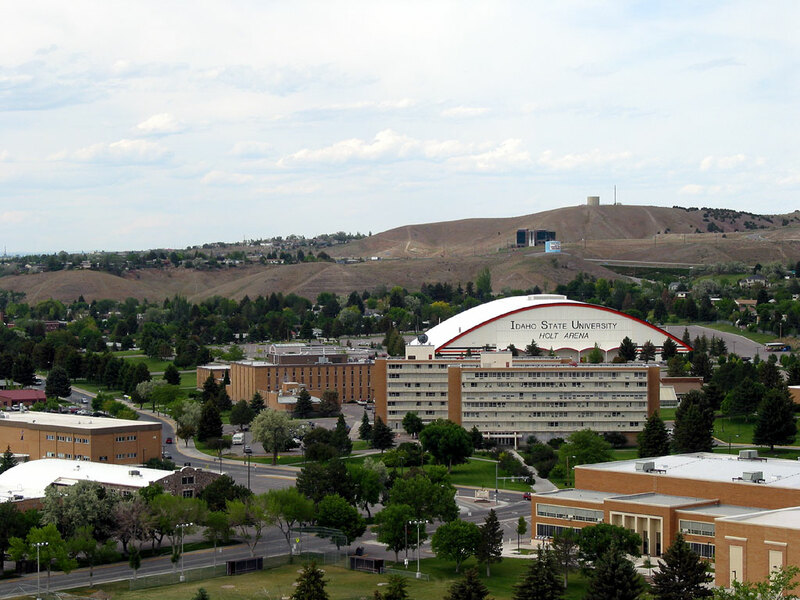 The Massage Therapy Program at Idaho State University provides students with classroom and lab experiences as well as clinicals off campus. Available through ISU is an Intermediate Technical Certificate in Massage Therapy and an Associate of Applied Science Degree in Massage Therapy. Chances are you will enjoy your time studying Massage Therapy at Siena Heights University. Not only is their Massage Therapy Program a great one but they also have an amazing school with a low student to faculty ratio, athletics, affordable prices, and award winning programs. 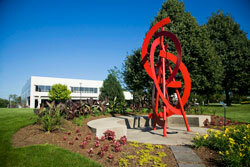 At Lake Washington Institute of Technology you have the opportunity of becoming a licensed Massage Practitioner. In this program you will learn a number of rewarding things including professional therapy training, spa massage techniques, business aspects, orthopedic massage therapy, massage gymnastics and hydrotherapy, review of CAM and Eastern medicine, and massage/disease pathologies. The Massage Therapy Program at Miami Dade College provides all students with learning experiences that allow them to participate in hands on training and obtain the best quality education possible. The Program participates in both on-site clinicals at the Medical Campus as well as off-site activities in the community for more learning opportunities. Holistic Health is a traditional part of Irene's Myomassology Institute and earning a degree through this school will be extremely rewarding. You will be instructed by caring and passionate individuals and will receive a quality education. In the Massage Program you will learn therapeutic massage and the standard techniques of massage as well. The Swedish Institute College of Health Sciences in New York offers an Associate in Occupational Studies Degree in Massage Therapy. This program will help prepare students for their license exam, profession work, and much more. Their massage techniques include pulling from both Western and Eastern theory and practices, which provides attending students with a unique outlook and approach to massage therapy. The natural health profession program at Body Therapy Institute in the Massage Therapy Diploma Program offers a wealth of opportunities. You will learn all of the standard techniques and much more as well as how to serve other people, care for the health and well-being of your future potential customers, and more. At The Center For Natural Wellness School of Massage Therapy you will start with a basic introductory program and work your way up to the most advanced techniques used in professional massage therapy settings. Available through CNWSMT are full-time Massage Therapy Programs, part-time Morning Massage Therapy Programs, and part-time Evening Massage Therapy Programs. If you choose to study massage therapy at Lexington Arts Academy, therapeutic massage will be on your list. They offer a "comprehensive, highly focused program for students who wish to pursue a long term career in massage therapy." Their awesome accredited program will help you gain the skills you need to be a successful massage therapist. The massage experience you delve into at Northern Virginia School of Therapeutic Massage "creates an inner confidence and personal momentum." With their integrative approach to massage and bodywork, NV Massage will give you a quality education that you cannot pass up. This intensive program consists of 600 hours and is completed in a matter of 7 months. The Colorado School of Healing Arts offers a comprehensive degree program for those wishing to become massage therapists. They will help you learn the techniques and guidelines you need in order to be successful in your career field as well as create a stable workforce for yourself. At Herzing University in Nebraska, you can study and earn a degree in therapeutic massage through the Omaha School of Massage and Healthcare. You will learn academic and technical knowledge as well as clinical skills and sensitivity. Because massage therapy remains in high demand today, OSMHC will help prepare you to find a stable job in the competitive environment. The unique massage therapy training you will receive at Medical Training College in Baton Rouge will not disappoint you. You will learn and work with instructors that hold degrees and certification in massage therapy themselves and you will be properly exposed to every situation and scenario you may face post-grad in your career. At Parker University you can work your way to earning an Associate of Applied Science with a major in Massage Therapy. With their comprehensive learning program, students will learn the skills and overall knowledge needed to work with a variety of clients in their lifetime. They will help you focus on ways to help relieve pain and stress as well as help rehabilitate those with injuries and more. The trusted reputation of the School of Massage Therapy at the American Institute of Alternative Medicine is what keeps people coming to receive an education there. The holistic education and approach is beneficial to those looking into any type of medicinal job and the Massage Therapy program can be completed in one year. The hands-on approach at AIAM will help you to be well prepared for a career in the massage therapy world. At Heritage College you can study Therapeutic Massage and learn a wide array of techniques and skills in the career field. You will learn holistic massage training, alternative massage therapy, Eastern medicine, body work, reflexology, sports massage, Chinese medicine, and natural healing. The possibilities are endless with Heritage College and they will do an excellent job of preparing you to delve into the world of massage. Everyone including Charter College is aware that the field of massage therapy is constantly growing so they are committed to staying up to date with the newest and most comprehensive techniques and training. Their program will help you prepare yourself for a career in massage therapy and help you place yourself in jobs such as working in a medical center, chiropractic office, fitness centers, and even setting up your own private practice. The small and intimate setting at Sedona School of Massage is perfect to relax and focus on your massage therapy schooling. 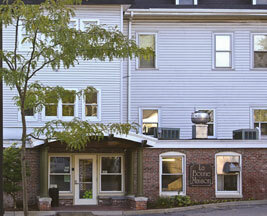 They offer a 350 hour program in which students learn about and practice all aspects of massage therapy. Other subjects such as anatomy, physiology, kinesiology, and movement will be incorporated into the study program as well. The Oregon School of Massage is "committed to holistic education and training designed to integrate body, mind, heart, and spirit." They believe communicating through touch is extremely important and want to teach their students to how achieve excellence for themselves and their future patients. The program consists of massage therapy techniques as well as intensive study of anatomy, physiology, kinesiology, pathology, and hydrotherapy. At the New Hampshire Institute for Therapeutic Arts students studying massage therapy will be taught a wide array of valuable skills that will help them address many different client needs in the world of massage therapy. Their 10 or 12 month programs provide intensive training in a plethora of subjects including but not limited to pathology, injury assessment, Swedish massage, reflexology, nutrition, and much more. The Massage Therapy program at Delaware Learning Institute of Cosmetology offers a 600 clock hour massage therapy degree, which can be completed in as little as 6 months. They are dedicated to providing their students with a well-rounded background in massage therapy so that they can be successful in their professional careers in the future. The 1,000 hour Massage Therapy program at Health Works Institute in Bozeman, Montana, will definitely be work your time! Their program teaches their students a vast amount of comprehensive skills and techniques in order to succeed in their career path, whether that is working at a medical facility, a spa or gym, a cruise ship, or something else. At Touching America Hot Springs School of Massage you have the option of choosing a 6 or 7 month program in which students will study anatomy and physiology, kinesiology, techniques, and mini-courses. After 500 hours of intensive classes and studying, students will be able to obtain a license in Massage Therapy and will be approved by the Arkansas State Board of Massage Therapy. .
At Ann Arbor Institute of Massage Therapy two different massage programs are offered to potential students: Therapeutic Massage Program and Sports Massage and Personal Training Program. The AAIMT is "dedicated to advancing the art and science of massage therapy through excellence in education, personal and professional development, and community service; in order to promote personal wellness and transform health care." This can be inserted anywhere within your site HTML code and should display the cool award shown here!